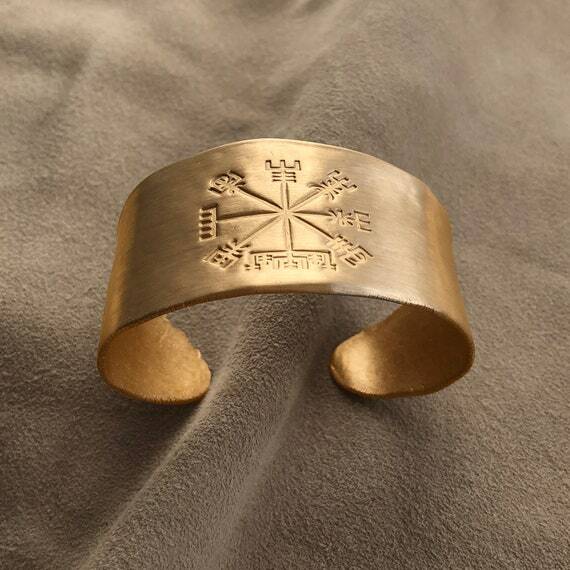 The Wayfinder Bracelet is a hand-made wide cuff bracelet stamped with the Vegvisir symbol. 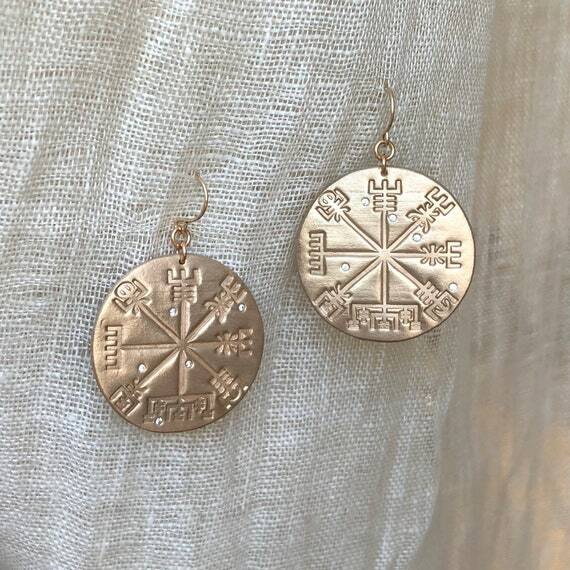 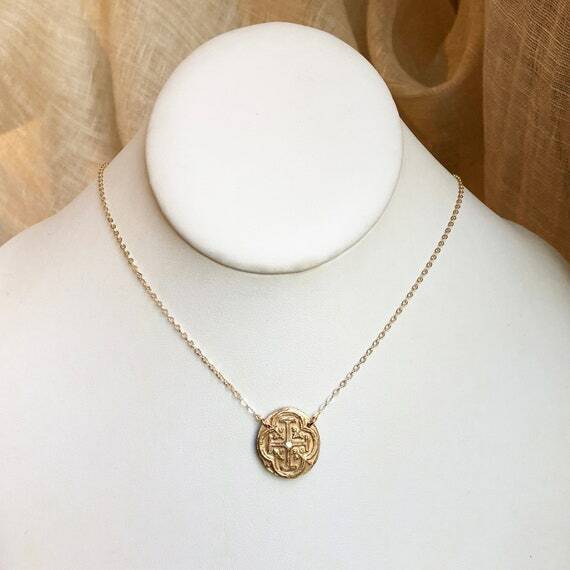 The Vegvisir is an Icelandic symbol which means "wayfinder". 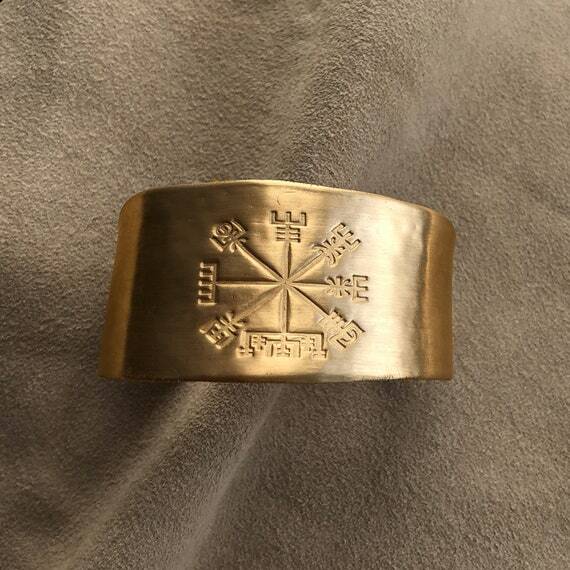 "If this sign is carried, one will never lose one's way in storms or bad weather, even when the way is not known"
The cuff measures 6 inches long, and is slightly adjustable. 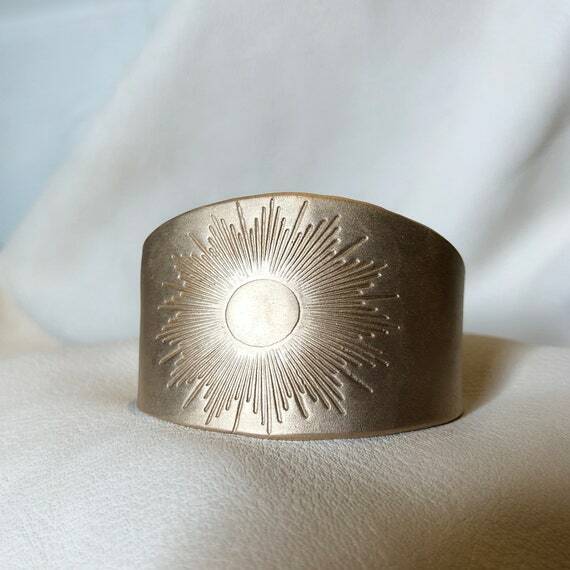 It is approximately 1 1/4" wide.